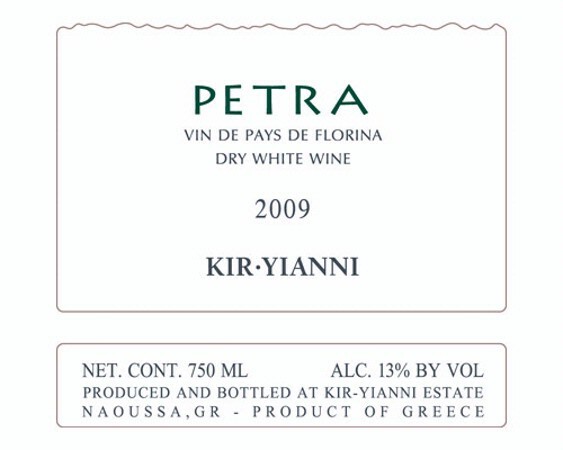 Petra is a white dry wine which has a rich yellow colour with greenish tints. Petra 2009 is a nice crisp, fresh white wine with lemon character and citrus flavour. It has a great acidity, that one does not find in wines of this level, and a beautiful round finish. A great summer wine.